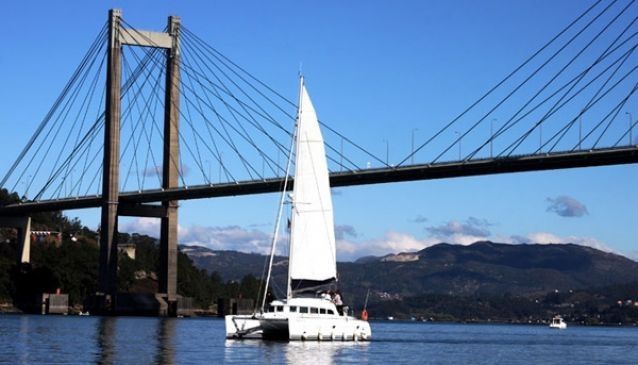 Charter Terra Nova are based in the Port of San Adrián de Cobres facing the end of the Ria de Vigo estuary and specialise in renting charter boats.Their fleet consists of three boats which includes a catmaran and you can hire all boats with or without a skipper. The company have vast expertise backed by experience and qualifications.The tours are tailor-made to suit your interests and to help you design your own holiday, Sunday strolling, weekend getaways, business meetings with on-board catering, celebrations or stag and hen parties. They are able to design a program especially for you. Charter Terra Nova are located in the beautiful and incomparable setting, if you wish you can sail in Galicia's beautiful waters - Rias Altas or Rias Bajas. You can try a short tour around Vigo Estuary taking in the sights like San Simon Island or Rande bridge including a trip along the River Verdugo.Finish the day with a nice meal in Restaurant Laurel in the Port of San Adrián de Cobres. They also organise Lambin off-shore Charters to Cascais, Madeira, Canary Islands, Algarve... or the destination of your choice. You can also choose to return home by airplane. Charter Terra Nova handle the transfer of boats so if you have bought a boat and want to take it to its home port, or you need to have it transferred... The company's experience will allow you to spend your holidays at peace without interrupting your time of relaxation. The company responsibly manage the search and purchase of used boats as well, according to your needs and budget, through their boat sales service.Contact Charter Terra Nova for all enquires and cost quotations.